I understand the need for mobile access, I use it myself. But I'm on the fence about whether an organization should try to design a mobile version of their site and whether it will end up being worth it. If you make your agency's home page mobile, visitors will then expect to click a link and get the mobile version of that site as well. 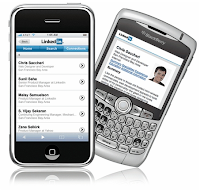 Any site that you point to from the mobile version will need to be retrofitted for a small resolution format. You also typically have a domain starting with http://m.agencyname.gov. This means that most agencies will need to maintain two separate sites, especially if they're not dynamically generated. You also have to consider that not every agency has one group controlling their site. Many organizations have multiple parties involved the site. It's unfortunate, but true. So getting all of those player involved, taught, etc on how to design a mobile version of their page (and to maintain a separate site that always has to be up to date) can be difficult to accomplish. Now, considering how much time it will take to do all that...and how much $$$ it will cost in employee time, server, learning best practices of mobile sites, etc...will it be all for not? The iPhone pushed the envelope on mobile browsing. It's able to display many sites through a scaled down view almost eliminating the need for a "mobile version." The BlackBerry Storm is doing the same thing and many other phones are also moving that direction in order to keep up with the public demand for that kind of interface. So do you think that by the time most phones have similar browser experiences like the iPhone, BB, etc that all of our time spent on creating mobile sites will be wasted since the normal site works just as well? Instead, why not put that money toward increasing public access to data, or improving the content quality of our sites, or usability of the site making it easier to find content? Scott, thanks for the comment. I think that you are raising more bumps than barriers. You don't need a m.something.gov if your web site separates content from the presentation layer. You can do it with a mobile stylesheet. Also, there are a other reasons why mobile is important. First, in an emergency, cell phones may be all the communications folks have. Agencies could work now to ensure that at least their emergency content is avail on phones. 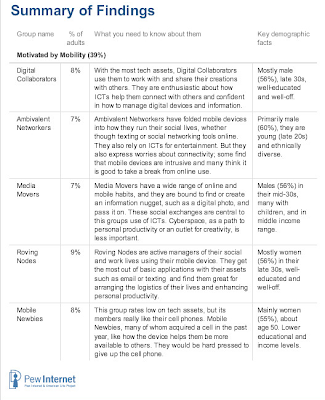 Last, mobile is an equalizer. 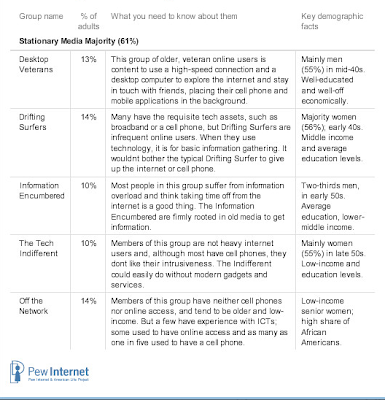 Low income people may not have broadband and a laptop at home, but will have a cellphone. Maybe not a high end IPhone or Storm. See especially Homeless People Turn to Technology to Track Assistance and Opportunities.